← 52 Weeks, 52 Runs. No. 8: Did 5K just become longer? Her outfit looks suspiciously like my absurd winter running uniform. More 52 Weeks, 52 Runs shenanigans in the next few days. I’m running the first of the Wild Rover Series in Haverhill, MA, tomorrow. There will be beer. This entry was posted in Fitness, Humor, Running and tagged beer, Natalie Dee, running humor. Bookmark the permalink. I think I had a similar moment of anxiety when SCUBA diving a few years ago. I was wearing a wetsuit a size too small and that combined with my natural nerves about disappearing under the surface of the water meant I stayed on the surface in a little boat, trying to overcome seasickness by focusing on the horizon. Needless to say, it didn’t work and I still blame the wetsuit. I now own a wetsuit and have dived over 50 times. 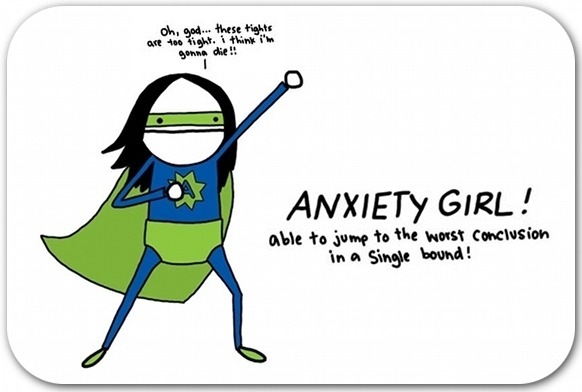 However, if conditions aren’t good, anxiety will strike. Oh, and did I mention as a fellow, not so chronic asthmatic, I lied through my teeth to get through the dive medical. Ha. Off topic indeed, but still fascinating. I am too petrified to ever try diving, so kudos to you, Miss Tash! Although a truly classy look, especially when combined with a mask for hiding some red faced exhaustion, believe that the drag introduced by the cape will not assist the running. Unless you move to a planet with a differnt type of sun and a bunch of 5Ks to run. I still think the cape is awesome. But you’re right about the mask. I may need to make that look more permanent, especially as it gets warmer and the face gets redder. I love Natalie Dee’s work. I think my favorite is Grand Theft Uno. Thanks!! As you can probably tell by my blogs, or lack of them, I’m definitely in the settling in phase. Hoping things will go back to normal soon. It’s great fun though! Ha. Thanks! I may have to grab myself some of that banana-flavored beer I saw at Whole Foods. The two running essentials in one place!